The US Government's Paranormal Branch has learned Missy's secret and followed most of her activities. They have her FBI friend join their team, telling him that other supernaturals also exist but Missy is the only female werecat. They want Missy to go on to West Point and tell him that "being a vigilante is not what we want for this girl." If you could sum up Missy Goes to West Point in three words, what would they be? 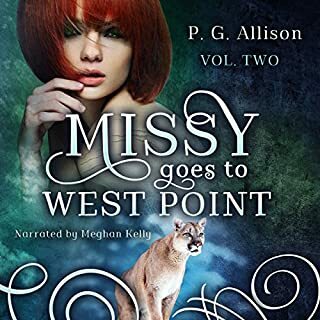 What was one of the most memorable moments of Missy Goes to West Point? 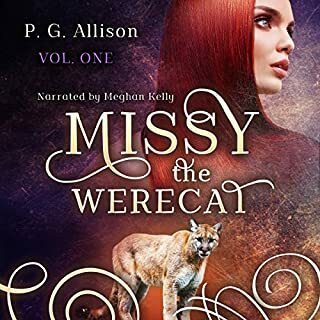 Where does Missy the Werecat rank among all the audiobooks you’ve listened to so far? Very good story and lively blend of action and character development. Only criticism is the voices of many of the males voices lack realism and I wish the narration could include male and females for a proper effect.